Edmonton Snowmobile Show and discussing our snowmobile vacation! 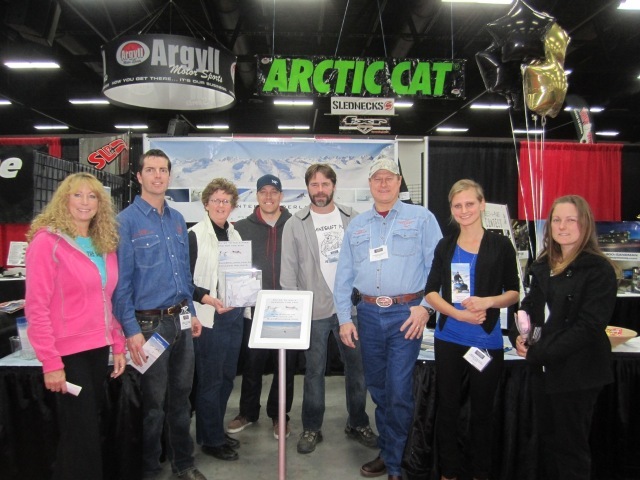 The Edmonton snowmobile show was a good place for BC Snowmobile Adventures to showcase the snowmobiling opportunities of the Chilcotin mountains, near the town of Gold Bridge, British Columbia. Everyone attending the show were snowmobile enthusiasts and all knew the value of sledding in hospitable mountains with rounded tops and less avalanche risk. We enjoyed meeting other snowmobile tour operators and sharing and exchanging with snowmobilers from all across the province. Join us for an unforgettable snowmobiling vacation experience in the legendary Chilcotin Mountain range, regarded by many as the ultimate snowmobiling territory in BC. The area is revered for it's beautiful mountain scenery, pristine forests, amazing wildlife, vast snowy expanses and unspoiled wilderness, glaciated mountain tops and wide u-shaped alpine valleys. Experience an exhilarating ride through the remote backcountry as our skilled guides lead you to an endless horizon of untracked powder on your snowmobiling vacation. The 500 km of snowed in old resource roads are beckoning. The dry powder stacking up on the mountains tops will only give in to the hardy adventurers tough enough to make the first track in. From mild to wild, we offer a range of trip options to suit all ages, abilities and ambitions. Bring on the snow, we are ready! 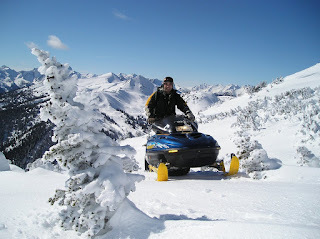 Learn more about our trips and snowmobiling vacations and give us a call at 250 238 2274.